The SMA Storage acts like a controlled AC to DC converter to carefully charge a 350-550 volt Lithium Ion battery. 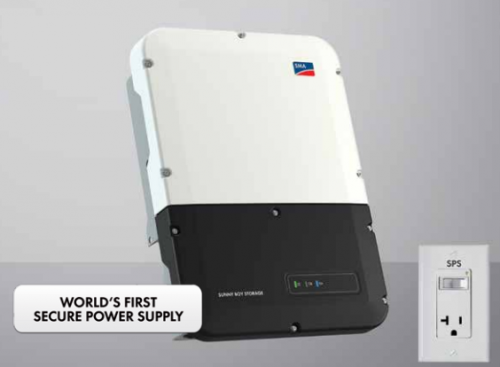 The battery can give you about 9 kilowatts of power if the grid fails and can be recharged by solar power the next day. Most households can usually get by with 9 kilowatts for night use during a power outage. In addition, the lithium battery has a very long life expectancy, does not give off dangerous fumes, and is maintenance free. Be the first to review “Sunny Boy Storage 3.8-US Inverter” Click here to cancel reply.